Can't find what you're looking for? Let us create a custom prom corsage just for you or your date. 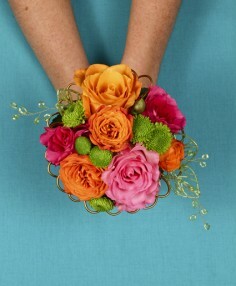 Simply call or stop by Daniel's Florist with a photo or description and we will take care of the rest. Our beautiful prom corsages are design to make any girl feel like a princess as she dances the night away. Daniel's Florist can help you select the perfect flower boutonniere when choosing one for prom. From the classic rose, to something completely custom, we can do it all. Simply shop online, give us a call or stop by our store in Raleigh for personal assistance in choosing your boutonniere.